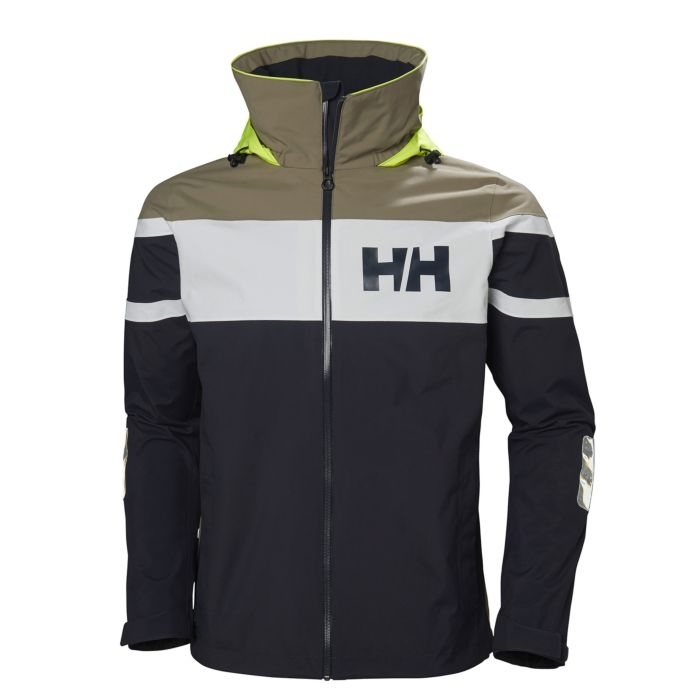 The Helly Hansen Salt Flag Jacket is made for versatile use on the water. 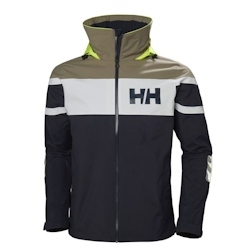 Designed with the classic Helly Hansen flag stripe originating from the Helly Hansen Jackets used by the first Norwegian Whitbread entry, the Berge Viking. The iconic stripe is a classic Marine signoff, and with the jacket's built-in, sturdy HellyTech Performance 2-ply fabrication, this jacket has what it takes to keep you dry and warm. Packed with the right features, such as a high protective collar and stealth seals in the cuffs, this jacket offers top functionality while allowing you to take to the fjords in style.